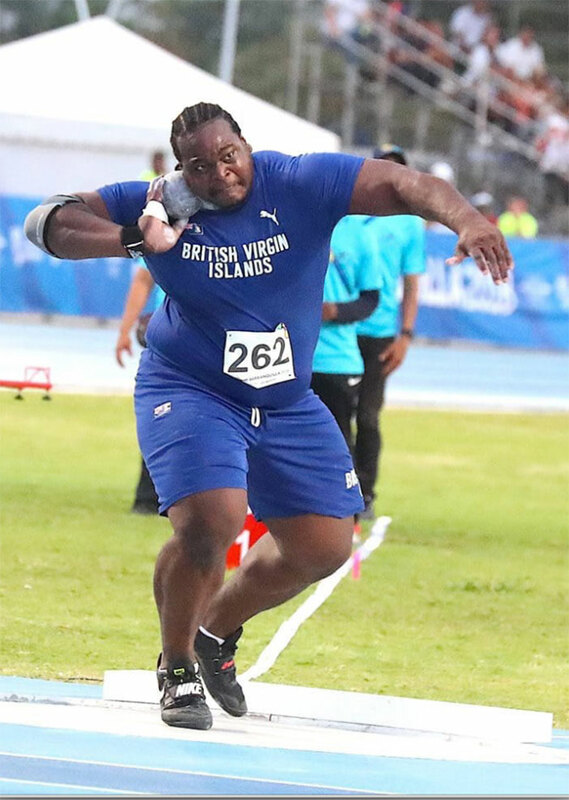 Eldred Henry joined Tynelle Gumbs as the territory’s second NCAA Division II Indoor champion, when he won the Shot Put on Saturday, during the competition held at Pittsburg State College in Kansas. Henry, coming off being named the NCAA Division II Midwest Male Athlete of the Year on Thursday after shattering the GMAC and NCAA Division II Record with his 20.61 Shot Put mark, opened with a foul then heaved the 16 pounds steel ball out to 19.58m to take control of the competition. He had two other fouls between a 19.31m effort, before unleashing a 20.18m heave on his final attempt to break the meet and field house record. “The ring was slick and made the recovery more difficult along with some minor mistakes on my end caused the foul which would have been my best throw in the third round,” noted Henry who followed up with 19.31m in the fourth, before unleashing the 20.18 on his final attempt. “It wasn’t my best throw technically, but I was more aggressive, because I wanted the meet record after fouling a huge one,” he said. Henry joined Gumbs who won the 2017 Indoor Weight Throw as NCAA Division II All American competing for Findlay, in their respective events and is the fourth BVI athlete to earn the honor since Lindel “Chef” Hodge on the Cal State Los Angles 4x400m Relay in 1983 and Khari Herbert in 2015 and 2017 in the 400m. Both Henry and Gumbs won National Jr. College All American titles in the Shot and Weight Throws, competing for Central Arizona College.